John Randall QC - as one of the longest serving barristers at St Philips Chambers and having served as a Deputy High Court Judge for over 16 years, John has developed his style of clear advocacy and has a reputation for clear and plain speaking. His knowledge of cases and specific areas of law has ensured he retains his standing as of one of the country’s leading barristers and is recognised as such in the leading legal directories. John Randall's primary practice areas are chancery and commercial law, companies, corporate insolvency, judicial review, partnerships, professional negligence and real property. With a passion for the legal profession, John has held a number of teaching positions, where he has sought to pass on his experience and enthusiasm to students, especially in the area of contract law. John was presented with Birmingham Law Society’s Barrister of the Year award in 2012, and has subsequently been named as Acquisition International’s UK Barrister of the Year in 2013, and Lawyer Monthly’s UK Land and Property Barrister of the Year in 2015. Having acted for clients in a number of mediations and other ADR processes, and been approached several times about the possibility of conducting them himself, John Randall trained as a mediator with the ADR Group in 2009. As an active mediator he offers the combination of the wealth of knowledge and experience described above with an understanding of the practical operation and relative advantages of both mediation and a variety of other methods for resolving commercial disputes. The below cases give an overview of John’s extensive experience. For more details of John’s experience, please click here to view his profile on the St Philips Chambers website. John is eager to be involved in new cases that will make the best use of his skills. Cases that have a very high level of complexity to them, or an unusual point of law are particularly interesting to John. John has helped bring the thrill of the legal profession to a new generation of lawyers. In 2004 John Randall was appointed a Visiting Fellow at UNSW, and spent a six month sabbatical there in Sydney, teaching undergraduates nearing the completion of their law degrees Legal History and Advanced Contract over an entire semester. 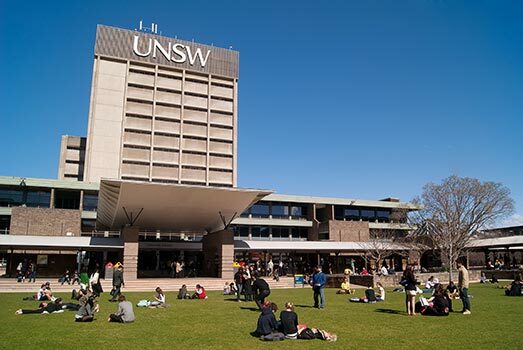 He has subsequently returned to UNSW on a number of occasions to teach courses in those subjects, and a new course on the Principles of Trial and Appellate Advocacy co-written with David (now Judge) Worster. John was appointed an Adjunct Professor by UNSW in 2013. John Randall QC was invited to teach a course on the prestigious Melbourne Law Masters programme, building on the publication of his article on Express Termination Clauses in Contracts in the Cambridge Law Journal. John developed a new course for Masters students on the Termination of Contracts, which compared and contrasted the termination of contracts at common law and pursuant to express termination clauses. He taught it as a Senior Fellow three times between 2014 and 2016, receiving very positive student feedback. John is listed in the 2017 Chambers & Partners UK Guide as a ‘star individual’ in Commercial Dispute Resolution, and a leading silk in Chancery, Company, Partnership, Professional Negligence and Real Estate Litigation; in the 2017 Who’s Who Legal under Company & Partnership and Real Estate; and in the 2016 Legal 500 in Chancery, Commercial, Insolvency & Banking, Property and Public Law. The below is a short list of his publications recommended by John. These publications have been selected as they offer interesting views on a range of areas of law. As Long As You're A Q.C. John was one of those who led the foundation of St Philips Chambers in 1998, which was brought about by the merger of his former chambers 7 Fountain Court with Priory Chambers. St Philips was further developed by subsequent mergers with 1 Fountain Court and Chancery House Chambers, as well as strong recruitment from elsewhere. St Philips became an award winning multi-disciplinary set of barristers, widely recognised as one of the most forward-looking chambers in the UK. 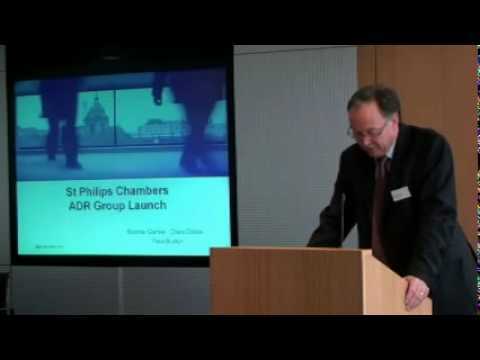 In 2016 St Philips went on to merge with Stone Chambers, a well-established specialist shipping and international trade set based in Gray’s Inn in London, and formed St Philips Stone as its domestic and international commercial dispute resolution team. St Philips now has offices in Birmingham, Leeds, London and Singapore. Its specialist groups are supported by dedicated clerking teams, whose experience, depth of knowledge and personal service, ensure that clients’ experience of working with St Philips is both beneficial and enjoyable.